We will explore not just the iconic sites, but seldom seen hidden gems that most tourists never get to experience. 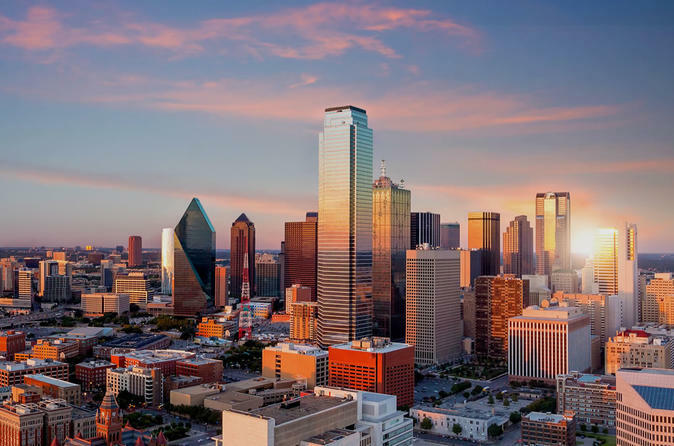 Whether you have just few hours and want to see as much as possible or you are here for a while and want to get your bearings, our best of Dallas 3 hours tour has got you covered. Best DFW Tours offers a fun, captivating exploration of the sites and scenes of the Dallas area. Expert local guides provide fun, lively narration as guests are escorted around the most fascinating parts of the city in comfortable luxury touring vehicles. Tours include stops at significant points of interest for discovery and photography. Enjoy sightseeing boutique-style through the districts of Downtown Dallas, Uptown Dallas, upscale Highland Park and historic Oak Cliff. Relax and enjoy the sites as knowledgeable local guides describe the culture, history and architecture that makes Big D so unique. Along the way the guides will provide suggestions of popular attractions that you may wish to visit during your stay. Included as part of the tour are recommendations for the best Texas barbecue, Tex-Mex cuisine, live music and cowboy gear. Saddle up and join us for an unforgettable adventure!